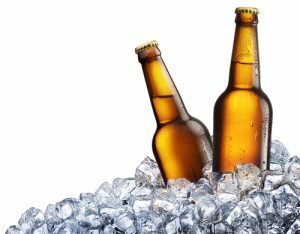 The Israeli Beer is produced by two breweries, Tempo Beer Industries and Israel Beer Breweries, besides other microbreweries that establish time to time. Beer festivals are held every year in Israel, among them the largest is in Jerusalem. The ancient Israelites preferred the wine instead of the beer like the Phoenicians, the Greeks and the Romans. 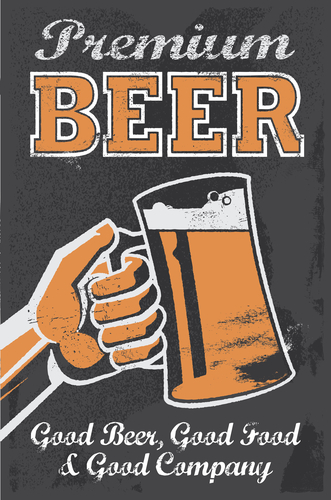 After the exile of the Jews to Babylonia in the sixth century BC, they began drinking beer and several rabbis became established brewers. Two notable Babylonian Jewish brewers were Rav Chisda and his pupil Rav Papa, both of whom lived in the vicinity of Sura during the fourth century. In 1934 James Armand de Rothschild established the first local commercial brewery with Gaston Dreyfus in Rishon LeZion. In 1940 the Nesher Brewery was commissioned by the Association of Americans and Canadians in Israel to supply beer to Australian troops who were in Israel. From 1942 the brewery enlarged its plant to increase the production of beer requested by both military and civilian consumers. In the 1952 in the city of Netanya the largest brewery of the Middle East has been founded with the name National Brewery by a group of investors led by Louis Herzberg. The National Brewery produced every year 400,000 barrels of beer and in 1954 it started to ship 180,000 bottles of its Abir laber beer to United States. The National Brewery merged with the Palestine Brewery and the Galilee Brewery in 1973 and in 1976 the company was acquired by the Canadian Murray Goldman for 8 million dollars. In 1980 the first canned beer has been produced and sold in Egypt with the name O.K. beer, proving to be more successful than Heineken and Tuborg. In 1983 the National Brewery entered in a license agreement with Anheuser-Busch International producing the first American beer in Israel, the Budweiser. The Budweiser beer is brewed using barley malt, rice, water, hops and yeast. It is lagered with beechwood chips in the aging vessel which, according to Anheuser-Busch, creates a smoother taste. In 1985 the National Brewery was acquired by Tempo Beer Industries. Starting from 1990s Israel Beer Breweries and Tempo Beer Industries control 70% of Israel’s beer market. Tempo produces the Goldstar and Maccabee labels, and Israel Beer produces Carlsberg and Tuborg. Nowadays there are two dozen microbreweries in Israel. Tempo brewery is located in Netanya and is the largest brewery in Israel, its Goldstar and Maccabee beers represent the 60% of all beer sales in Israel. Tempo imports Heineken and Amstel beers and there is a partnership between the Carlsberg Group and the local Coca-Cola company. The distribution of Guinness beer in Israel started in 1996. There is an Israel Beer Breweries visitor center in Ashqelon. The first microbrewery to open in Israel was the Dancing Camel Brewery in Tel Aviv in 2006, after that the Golan Brewery opened in the Golan Heights region of Israel and Jem’s Beer Factory is the first kosher microbrewery of Israel that opened in Petah Tiqwa in 2009. Starting from 2009 some microbreweries opened in Dekel and Qiryat Gat in the south of Israel, and after in Sal’it, Petah Tiqwa Tel Aviv, Haifa, the Jezreel Valley, Ramot Naftali, and Yehi’am and Qatzrin in the Golan Heights. The first native beer label was Nesher in 1930 and it was produced in a quantity of 10,000 liters every year in two varieties pilsner lager and malt lager, in Hebrew it is known as bira shechora, that means black beer. Since 1950 the Goldstar pale lager beer has been brewed initially at the Cabeer Brewery in Rishon LeZion and from 1952 until 1985 Abir became the popular beer of Israel. In 1968 Maccabee, a pilsner beer invented by Menachem Berliner, was competing with Goldstar until the 1986 when both Goldstar and Maccabee have beed acquired by Tempo. Goldstar won a Monde Selection gold medal in 2007 and in 2011 Goldstar won the award as an Israeli Product of the Year. The Dancing Camel Indian pale ale beer balances the bitterness of its taste with the silan ( a syrup extracted from dates ) added in it. On Rosh Hashanah Dancing Camel produces its characteristic pomegranate beer and for Sukkoth a wheat beer made with etrog. 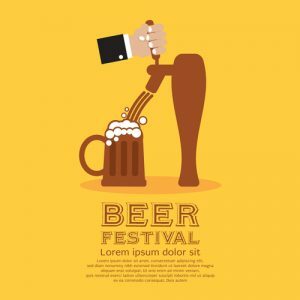 Besides the Jerusalem Beer Festival, that is one of the largest beer festivals in Israel, other festivals are held in Tel Aviv, in the Mateh Yehuda region, in Beersheba together with the annual wine festival and in Ashdod. In 2002 the Israel Beer Club has been founded with the scope of promoting the Israeli beer and support small scale brewers and importers, and it offers homebrewing and beer tasting workshops. Molly Bloom’s is the first Irish pub of Israel that has been opened in Tel Aviv in 2000 as a partnership between Israel Beer Breweries and an Irish entrepreneur. Starting from 2004 Irish pubs opened in Tel Aviv, Herzliya, Rehovoth and Glilot. The Porter and Sons draught beer bar in Tel Aviv, founded in 2010, has been awarded as the Best Beer Restaurant of Israel in 2012. In the same year another famous beer bar opened next to Shuk HaCarmel with the name Beer Bazaar, where over 80 Israeli Beers, more than 10 Israeli ciders and draught beers are served.